Do you struggle to find enough time in the day to keep your cat entertained? If so, your cat could start misbehaving as a result of their boredom. 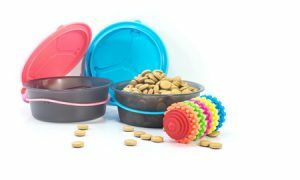 Fortunately, interactive puzzle feeders offer a simple way to keep your cat stimulated that doesn’t require much time and effort on your part. You can learn more about the unique benefits of these innovative feeders below! If you work long hours and don’t always have time to play with your cat, an interactive puzzle feeder can provide your cat with hours of fun. These feeders are designed to make cats think as they try to extract food from them. You can even rotate out a few different feeders so that your cat will always have a new puzzle to solve. You’ve probably purchased other toys for your cat in the past, but they may not always show an interest in playing with them. An interactive puzzle feeder is different because it gives your cat a powerful incentive to play. Whenever your cat gets hungry, they’ll be eager to play with their puzzle feeder in hopes of finding a few treats. An interactive puzzle feeder can do more than just keep your cat entertained. It can also stop your cat from wolfing down their food too quickly. With an interactive puzzle feeder, your cat will eat just a little bit at a time. This will keep your cat healthier and prevent them from overeating. Once your cat is worn out from playing with their puzzle feeder, they’ll need a comfortable place to rest. At the Cat’s Inn, you can find beds, pillows and townhouses that are designed specifically with the needs of our feline companions in mind. Browse our products online or contact us today for more information!